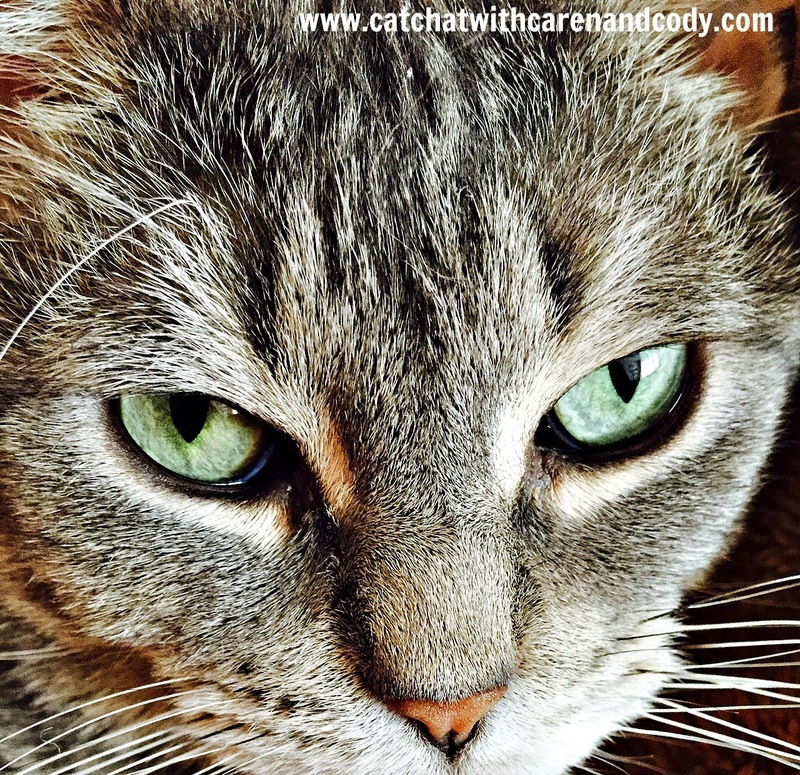 Cat Chat With Caren And Cody: I'm A BlogPaws Nose-to-Nose Awards Best Pet Blog Photo Finalist, and I am Verklempt!! 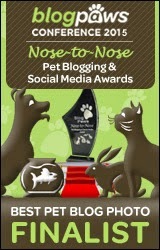 I'm A BlogPaws Nose-to-Nose Awards Best Pet Blog Photo Finalist, and I am Verklempt!! Hi and Happy Wednesday All!!! 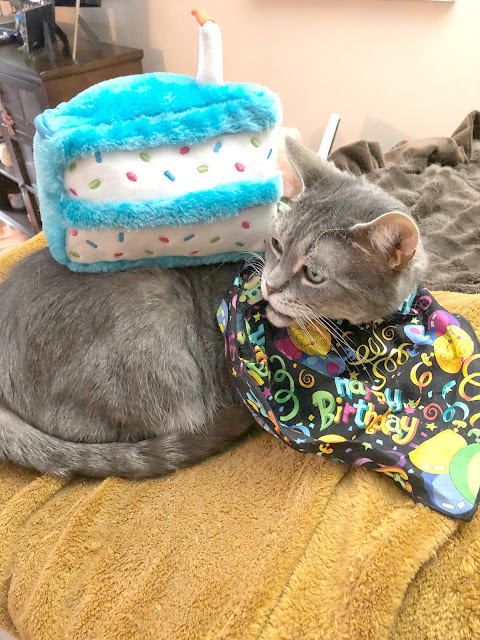 One of the things we all love about Wednesday's is the BlogPaws Wordless Wednesday Blog Hop, the hop that allows us to share photos that have no need for words,captions, or descriptions. It is a chance for bloggers to feature photos that evoke emotion, make us laugh, think, or just enjoy the sheer beauty of our pets. When I found out late last night that I was a finalist for Best Pet Blog Photo for this year's BlogPaws coveted Nose-to-Nose Awards (for Pet Blogging and Social Media), I swear I had to look at the list about fifty times to make sure that there was no typo. I will be blogging six years this Fall and for every one of those almost-six-years I hoped that one day I would have the enormous honor of being a finalist, and now, I AM!! Me? A Best Photo Finalist? WOW! I know everyone wants Wordless today, so I will wrap this up in a second, but first I want to thank the Judges and BlogPaws for this incredible honor. It means more to me than anyone could possibly imagine. I am full of emotion and my head is spinning. I want to also thank CODY....without his adorable face and gorgeous eyes, this wouldn't have been possible. 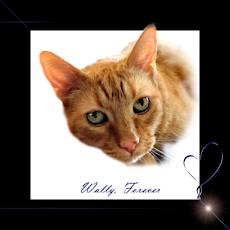 I would also like to congratulate my fellow Cat Bloggers for being finalists. I greatly love and admire all of their work and am just happy that I am NOT one of the judges, everyone is so deserving!! 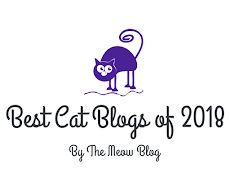 There are so many other blogs that deserve the same honor in all of the categories, and I so wish that everyone could be a finalist. We all work hard at what we do and I sure wish there was a way to acknowledge everyone....just know that we ALL bring unique talents to the table, each and every one of us are a vital part of the blogging world. Thank you to ALL of the Pet Blogging Community for the knowledge, laughs, love and caring that you all bring to our lives on your blogs each and every day! I can't wait to see everyone in Nashville!! It's a sensational photo of Cody, Caren! Congrats! I'm so happy for you! Congratulations- that is a gorgeous photograph! That is an amazing photo of Cody. One day, I'll get luck and get a nice, clear photo of Truffle or Brulee and will feel comfortable submitting. Congratulations! An absolutely wonderful photo of handsome Cody! Congratulations. It's a pawsome photo! No wonder you were nominated. It's a purrfect shot of Cody. Purrfect. Congratulations. It is a well-deserved honor and I am SO happy for you!!! CONCATS!!! We are so proud of you!!! And that picture is awesome! Awww THANK YOU SOOOO MUCH!!!!! Congratulations! It's a fabulous photo of Cody; good luck! congratulations! I've seen this kind of face on my sweet Jax. Our cats are so photogenic, right? Congarats to you and to all the finalists! That is a wonderful photo of Cody. Congrats! That is a beautiful photo. I love Cody's eyes! thank you so much!!!! I am honored! Caren I am THRILLED for you! So deserving and so exciting. You truly deserve it! Congrats!! Oh my THANK YOU SOOOO MUCH!!!!! I am honored! Congratulations to you, Miss Caren, and thanks for the shout out. We're as verklempt as you are. Right back at ya my furiend!!!! soooooooooooo happy for you!!!!!! And.....you are most welcome!!!!!! 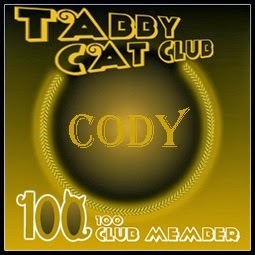 Concats to you dear Cody!!! We are so very very thrilled and happy for you. GOOD LUCK. Concats Miss Caren and Cody. Yous deserv it. And concats to all da nominees and good luck. Congratulations and that is a wonderful photograph. Really great. Have a wonderful Wednesday. Thank you so much Molly! Just came from your blog and laughed my head off at the mailman memo! OMG I LOVED IT! A huge congrats to you. No one deserves it more than you do. Well done. Great picture of Cody. Congratulation. You deserve it. It's a real stunning picture. 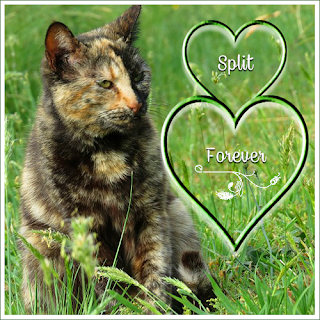 You had me at verklempt ;-) Congrat again and are you the only kitty nom? Pinned you too. Thank you so much!!!! I am ecstatic!! Paws crossed!!!!! 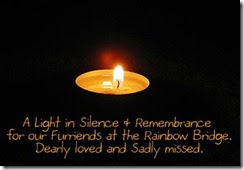 What a nice post, Caren! You don't sound verklempt at all:-) Congrats again, my dear, and well deserved. Thanks sooo much! Oh yes! I am totally verklempt!! "overcome with emotion" and can barely speak. I am not kidding. I am dead serious! Thanks sooo much again! Congrats! We luv da photo! Concats! It is a beautiful photo. you are so kind!! Thank you!!!! Congrats to you!! It is a great picture!! WOW!!! CONCATULATIONS!!! What a huge honor - you are so very deserving. That is a great photo! Looking forward to seeing you in May! Thank you SOOOOOOOOOOOO MUCH!!!! Yes, it is a huge honor and I am just ecstatic!!! I am looking forward to seeing you too!! This time I AM staying at the hotel with everyone so if there is a dinner, PLEASE, PLEASE count me in! Congrats on this Caren!! It is a beautiful picture... and though I am your competitor this year...I'm sure you will be the one to walk away with that beautiful trophy :) Love you lots!! Oh my my furiend that was BEYOND KIND!!! I saw all of the pictures (YOURS WAS DARLING!!) and I am afraid that I don't share your confidence that I will win! The other person the Ammo one had some super pawesome photos, yours is DARLING (and you won with that last summer somewhere else I think you said), so nothing is certain! I will be happy if it is you or me because I don't know the other two (I know Frenchie I think that is his name and they are nice), but I know you better!!!! I would be ecstatic to win but I wish you the BEST OF LUCK TOO!!!! Looking forward to seeing you again!! xoxo Love you too!!!!!!!!!!!!!!!!! That photo deserves to win - good luck! thanks so much!!!!! Hoping so! Congrats! What a great picture!!! How exciting for you both! Caren and Cody! We loved that picture and we are glad hat everybody else love it as much! All of us has our fingers and claws crossed that yous guys is acknowledged for the winners you are! thank you sooo much! Paws crossed!!! Congratulations Caren :) Out of all the finalists on the list, I think you are one of the most deserving (if not THE most deserving). I know it's something you've wanted for a long time. Hard work pays off! The photo is stunning and really shows all the fine details of Cody's face and furs. Beautiful. Oh Ann, you are going to make me cry!! I am NOT the most deserving by far, but you are soooo right that I have wanted this for a looong time! That being said, I never thought it would happen as a result of one of my photos! (We all know how photographically challenged I am, but I will say, I HAVE gotten better!!!) Dakota has had some great photos lately.......you do an amazing job with yours too and your entire blog. You already know that because i have been a cheerleader for you for a looong time! THANK YOU SOOOO MUCH! Your comment means the world to me!!! Congrats, Caren!! What an honor fur you!! Love and hugs to you, and congratulations again! Congrats. That is a beautiful photo of Cody. thanks so much Sue! How are you feeling? Yay Cody & Caren! We are so happy that you are a finalist, that is fabulous! Congratulations to you...that is such a gorgeous picture of Cody, we will be sending good vibes your way! Concats - that is a wonderful picture of Cody.